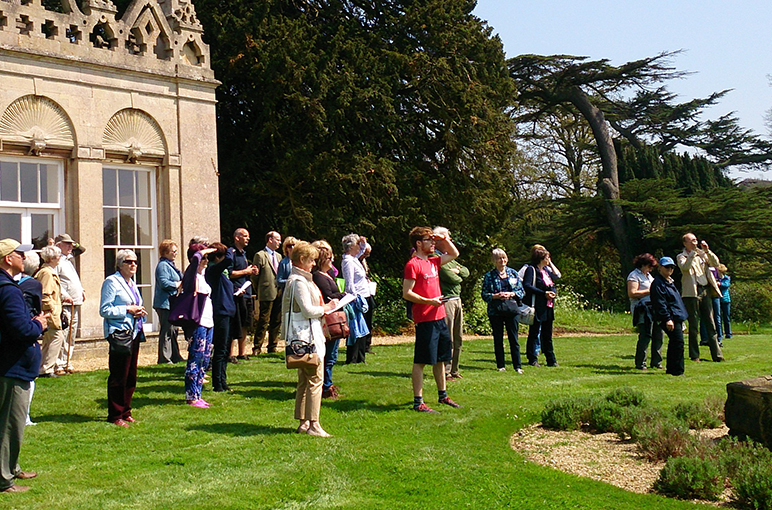 The Historic Landscape Project (HLP) is the Gardens Trust’s capacity building programme, working to support its volunteers and those of the County Gardens Trusts (CGTs) in taking a proactive role in the conservation of historic designed landscapes. The HLP receives partial funding from Historic England. The Historic Landscape Project was launched in 2010 as a pilot-project in the South East of England, with funding from Natural England and the Association of Gardens Trusts. In 2013, it expanded to cover the whole of England, with funding from the Association of Gardens Trusts, the Garden History Society and English Heritage. As a joint project, the HLP was at the heart of the merger of the AGT and the GHS in 2015, at which point it was carried forward by the newly-formed Gardens Trust, with partial funding from Historic England. We are proud of our success, which has seen County Gardens Trusts comment on hundreds of planning applications affecting historic parks and gardens each year, gather teams of volunteers for vibrant Research and Recording initiatives, and train skilled researchers to produce invaluable Statements of Significance for historic parks and gardens. Next on our agenda … to spread the word and reach out to a new audience. To maximise the strengths of County Gardens Trusts we are helping them to build a crucial support network amongst themselves, with a calendar of opportunities to gather together and discuss issues important to their ongoing success. To attend one of our regional ‘Meet-Ups’, please visit our Events page. We have also recently launched an online Forum to facilitate the pooling of information and experience. We have also been encouraging a working together approach between CGTs and other relevant organisations, such as the Gardens Trust’s conservation team, local authorities, Historic England, Natural England, Parks & Gardens UK, Historic Environment Records and other amenity societies. 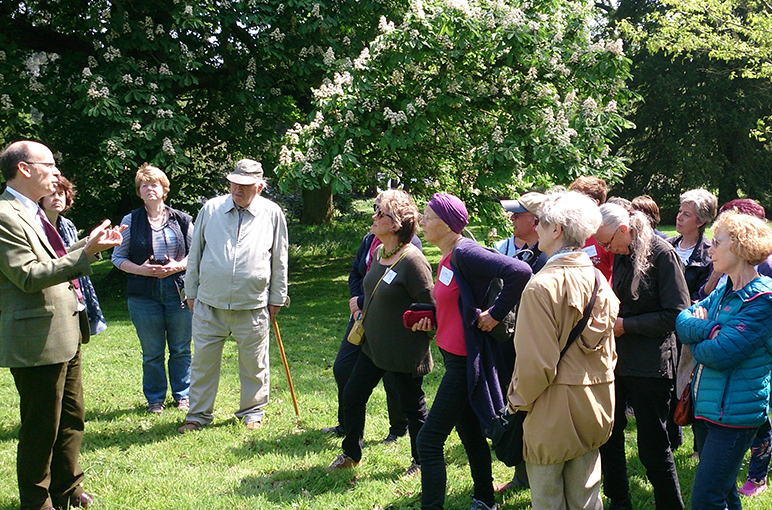 If you or your organisation would like to benefit from better links with your local County Gardens Trust, please contact us at hlpo@thegardenstrust.org. In 2016, we launched a national Historic Landscapes Assembly, where all those interested in conservation and historic designed landscapes can come together to discuss key issues on our horizons – details of this year’s Assembly will soon be available on our Events page. To support volunteers’ work conserving historic designed landscapes, the Historic Landscape Project facilitates or runs a range of training opportunities. These workshops have included Responding to Planning Applications, Research for Local Listing, Understanding Conservation Management Plans, Volunteers, Significance, Social Media, Settings and more. Please visit our Events page for details of forthcoming training events. To download free materials from past training events, please visit our online Resource Hub. The HLP has created an extensive range of support materials and guidance for its training workshops, which can be downloaded for free from our online Resource Hub. The Hub also contains thought-provoking examples of work from CGTs, and the best of guidance from other organisations too. The Hub is primarily aimed at County Gardens Trust members, but we welcome all comers! Tamsin McMillan: tamsinmcmillan@thegardenstrust.org, Margie Hoffnung: margiehoffnung@thegardenstrust.org and Linden Groves: lindengroves@thegardenstrust.org.